This morning on my way to a seminar I decided to listen to a recording in the car that I made many years ago. As a matter of fact, the album will turn fifteen this July. 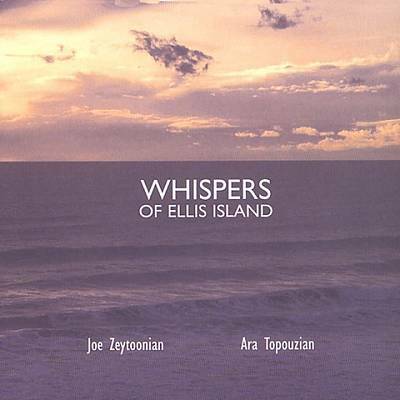 In 2000, I produced Whispers of Ellis Island master Armenian oudist, Joe Zeytoonian. We spent a considerable amount of time on putting this recording together. It is the perfect album that could have easily been released this year marking the 100th Anniversary of the Armenian Genocide. Everything from the song selections to the name of the album lends itself as a tribute to those that traveled through Ellis Island in order to seek a new life post-Genocide. I forgot some of the nice work we both did on this CD. I certainly appreciate the work and dedication Joe had with this project. I remember him pushing me harder to get certain notations correct and we used a variety of rhythms. Songs like Air and Reckless were written by Joe and really allowed me to think differently about music. In the liner notes, we end with: Through danger, hardship, and heartbreak, Armenians transported their spirit through Ellis Island and gave us life and music. Thanks to the mothers and fathers. This entry was posted in Uncategorized and tagged ancestors, Armenian, Armenian music, Dirty Linen, Ellis Island, Genocide, hardship, heartbreak, kanun, oud, Whispers, Zeytoonian. Bookmark the permalink. I love it Ara. Thanks for keeping our music alive!